Let me walk you through this ; under the”umbrella” of reading and elocution ; that will lure you away; from “outpour” of digital invasion. of books, will help in expansion of wisdom & knowledge. 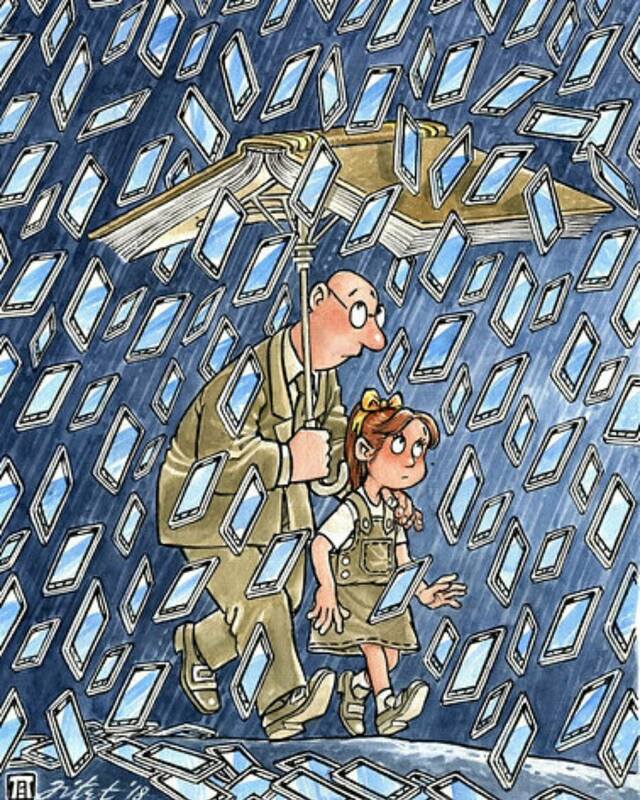 Elderly should use the book of knowledge to protect thier children from gadget generation. When everything comes to an end only the Hard copy and permanent will remain, it may be pouring technology today but always remember rain stops but sun doesn’t. In a world of advanced technology, let little minds explore good books towards brighter future. There is no better protector from modern influence than a true book of knowledge. The book is the Father of all mobiles. Can a shelter of knowledge save the young generation from the storm of technology? Let’s protect our children from this brain killer. Let’s make a new beautiful world full of peace and wisdom.